When you’re subjected to constant stress, whether it’s due to work, finances, medical conditions, or the death of a loved one, your body’s daily repair and maintenance can come to a screeching halt. The halt can lead to disrupted sleep, compromised digestion, tissue damage and other bodily stresses… which can then lead to more serious conditions, such as hypertension, autoimmune diseases, and atherosclerosis if left unresolved. Your approach to life needs to be calm and collected. The key is to be present — be aware of the moment you’re in. Worrying about what’s already happened or what may happen are stress triggers. Practice taking deep, cleansing breaths and try to avoid situations that cause extreme stress. Our bodies offer a natural internal compass for the direction that will best suit us. Modern technology has enhanced our lives in many ways, but it has also made our lives very left-brain dominant with the “stress tiger” always on our heels. In his book Open Focus, Les Fehmi states that anxiety and lack of focus are a direct result of left-brain dominance. His solution lies in defocused left-brained activity to synchronize function of the right and left brain. To practice this, set reminders for yourself to take a 10 minute break every three hours throughout your day to exercise your right brain with a creative activity. You can engage your right brain by completing a word or number puzzle, drawing a picture, daydreaming, or listening to music. Focusing on bad news, overloading on media gossip or reality TV, and overindulging in online social networking are all ways to avoid dealing with stress or living your life. They are also ways to create stress about things that you cannot affect or change. Exposing yourself to a constant stream of negativity has a negative outcome on your system. Instead, focus on positive messages and things that enhance your motivation and energy in a healthy way. So many of the situations that we perceive as threats are not really threats at all. Ask yourself simple questions to diffuse the potential stress: “Am I in control of my reactions?” “Do I really want to take on any more negativity?” Questions like these engage our rational mind, calming our brains and allowing us to see the big picture more clearly. Stop making mountains out of molehills. Learn to recognize what is truly a threat, and what is merely a bump in the road, and keep rolling forward. Are you listening only to loud, grating music or stressful radio news shows? Consider how you feel after listening to your usual music. Does your body feel like it’s “vibrating” at a faster pace? Are you feeling aggressive or unhappy? Take a break from your usual listening habits and try something more calming and happy. Better yet, head outdoors and let the sounds of nature soothe your soul. Research has shown that being outdoors and hearing the natural sounds of wind, birds, etc. has a stress-reducing effect. Adaptogens are natural substances that provide an overall balancing effect on all systems of the body, without drug-like side effects. This includes restoration of normal immune function and balancing adrenal function. Adaptogens allow the body to focus on healing, even in the face of stress. Adaptogenic herbs are especially beneficial for busy individuals looking to better manage stress and optimize focus. Ashwagandha (Withania somnifera) is native to India and Africa and has been used for thousands of years as a revitalizer in traditional Ayurvedic medicine (from India). Look for Sensoril® ashwagandha, a standardized form of ashwagandha backed by clinical studies. Magnolia Tree Bark Extract has been traditionally used in Chinese medicine to counter the negative effects of stress. This extract has been proven to decrease cortisol levels (the stress hormone produced by the adrenal glands), resulting in a dramatic improvement of symptoms, such as stress-related eating, fatigue, and poor sleep. Look for Relora®, a patented form of magnolia tree bark. L-Theanine is a unique amino acid found in green tea and certain mushrooms that crosses into the brain to induce calmness and improve mental focus. It counters the negative effects of stress-induced adrenaline secretion to improve natural sleep without inducing sedation during the day. You have a stress threshold that precipitates symptoms. Try to maintain stress below that threshold. This requires a bit of self-monitoring, and a lot of honesty about where your stress level is. 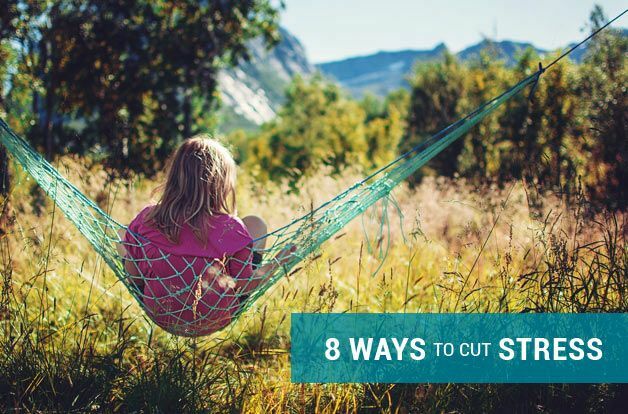 Are you ready to feel less stressed and more calm, focused and productive?